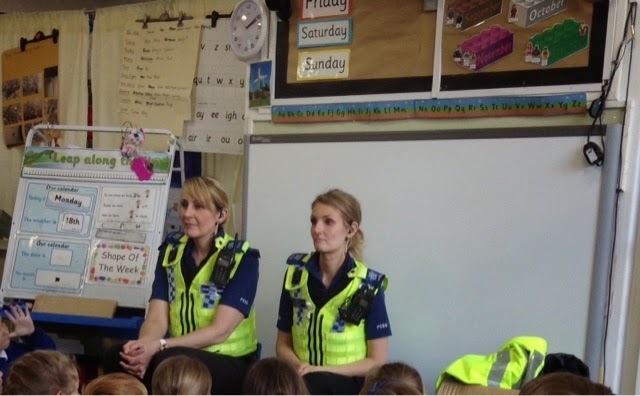 Wold Primary Academy Blog: Police visit F2! Today the police came and visited F2 and told us about what they do to help people and all about the uniform they wear. We knew that their uniform was brightly coloured so that they were easy to see. We also knew that their police car had lights and sirens to tell car drivers to move out of the way so the police could come through. 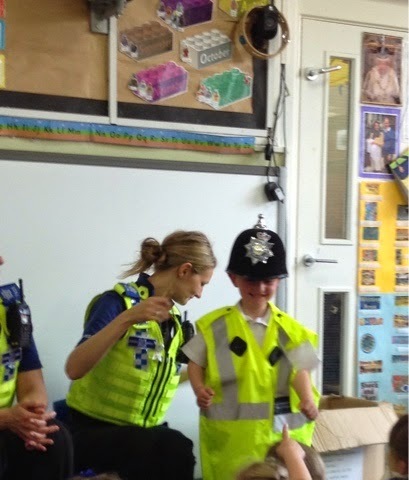 Then the police let us have a go at dressing up in some uniform they had brought in! 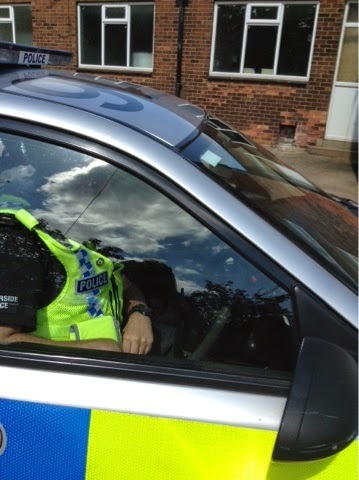 The police officers even brought their police car and we got to have a sit inside it! It was very exciting!